As Breast Cancer Awareness Month approaches, our thoughts inevitably turn more toward the important topic of women’s health. The attention placed on raising money for breast cancer research and treatment along with encouraging women to take care of themselves is invaluable. It’s an opportunity to talk not just about breast health, but also about our overall wellness. But that can also create pressure that becomes so overwhelming it’s counter effective. You know your health matters.. You want to make it a priority. And yet, there are so many other priorities competing for your time and attention. We understand how that goes. We hear from women all the time about the challenges they face. They’re real. You have work. You have a family and friends that need you. You have obligations. It can seem so difficult to find the time, or make the time to take care of yourself that you don’t even want to get started. There is a way to make it easier. Instead of making a long list and trying to tack everything on it. Just do one thing at a time. Choose one exercise. Change one eating habit. Getting on the path to wellness doesn’t require giant leaps. That leads to burn out and disappointment. Instead, take small steps, and just one at a time. Start with a simple promise to yourself that you are going to make progress. Next, set a goal and write it down. And then, pick one thing that will get you closer. 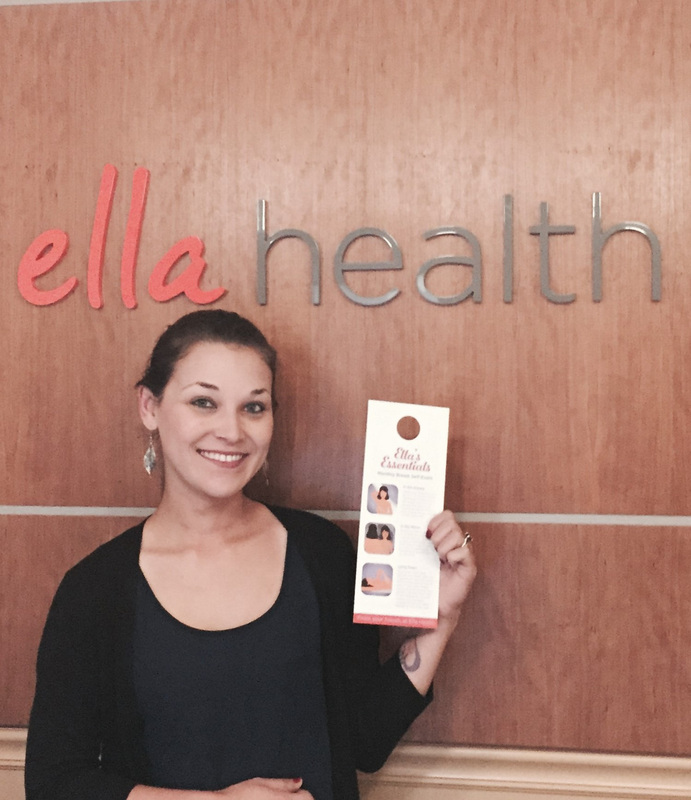 We’ve made it easy with Ella Health Essentials, a quick “just one” list to help you get started. This breast cancer screening exam provides vital information about your health. It helps to detect cancer earlier when it is most treatable. Know your body so you can detect changes early. If you notice a lump, a change in color or unusual discharge, call your doctor. This simple squat and Kegel combination exercise strengthens muscles, improves balance, boosts sports performance and helps to prevent injuries. 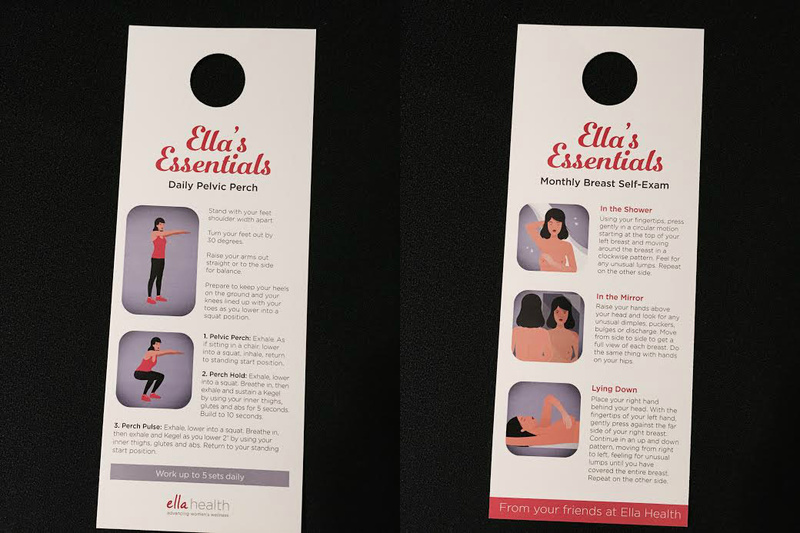 Come to Ella Health and get an Ella Health Essentials card with instructions for a monthly breast self-exam on one side and on the other instructions for a pelvic perch, which combines a squat and Kegel for maximum effectiveness.